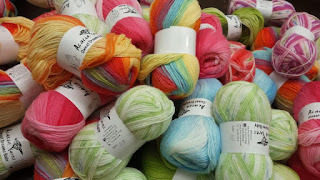 Yarn and Fiber Happenings: Socks for Summer Knitting and More T-Shirts for You to Enjoy! Socks for Summer Knitting and More T-Shirts for You to Enjoy! PDF downloadable files are now available for all the Ivy Brambles patterns! Including these two new sock patterns! Socks are a perfect small project for the warm summer days ahead! 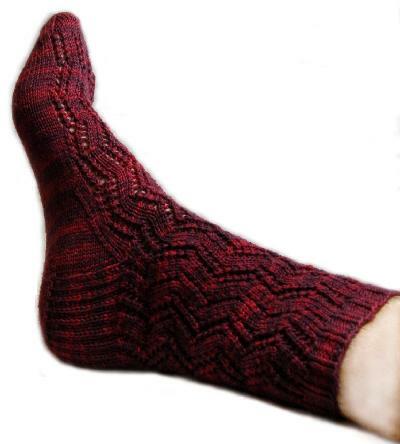 The lovely Ladder Lace Sock Pattern features a gorgeous trellising ladder flowing from the cuff to the toe. Straight forward and easy to knit lace in a ladder pattern makes these socks fun to knit and extra special to wear! 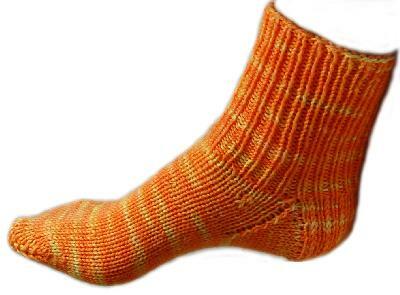 One skein of the Ivy Brambles Sockscene makes a pair and socks are shown in pattern worked in colorway Autumn Flame! If bigger needles are for you, the Nancy Walking and Talking Sock Pattern for Worsted Weight Yarn is now available and written for a 12" circular needle! What fun! These socks work up so fast and easy and use only one skein of Ivy Brambles Superwash Worsted yarn for the entire pair! Colorway shown in Day Glow! Both sock patterns have been kitted under Project Kits on the website in the colorways that inspired the designers to create these fabulous socks! Enjoy! More new colors for the summer have arrived in our Knitting with Friends, Spinning with Friends, and Hooking with Friends including a beautiful Sky Blue, Light Green and Dark Gray - these are in addition to the Deep Purple shirts that arrived last week! Don't forget to be sure to sign up for our Prize Giveaway! The next giveaway will be in July and it is filled with fun in the form of cashmere, a tote bag and more!